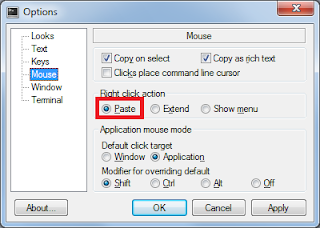 For the last few weeks, I've been scratching my head because I could paste content into cygwin with a right click on my work computer, but I couldn't do it at home. And more annoyingly, I couldn't figure it out until a few minutes ago. 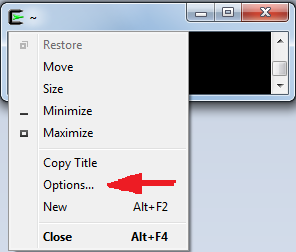 And since the last few versions of cygwin supports windows resize, it has the same good features as putty :).